Asos Dogtooth sweater and Asos Waffle knit. I'm searching for some fall winter knits in stores, but it seems that I can't find nice ones. So maybe I'm going to order one of these from Asos. I'm going thriftshopping for some knits soon as well. Have you already bought winter items? Lovely picks! Definitely haven't started winter shopping yet... it still is in the 90s here in Texas! 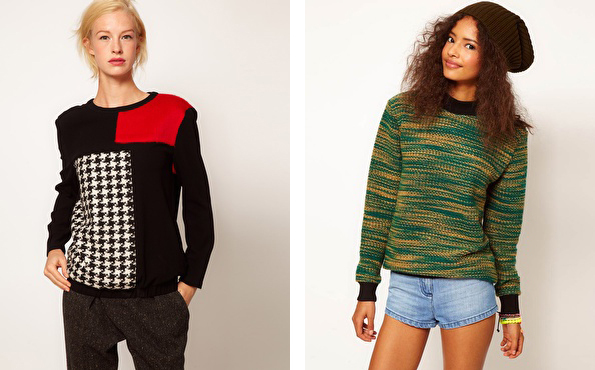 So pretty and stylish sweaters. The first one is so great. oh, how i love sweaters! those are both great, the second one is my favorite!